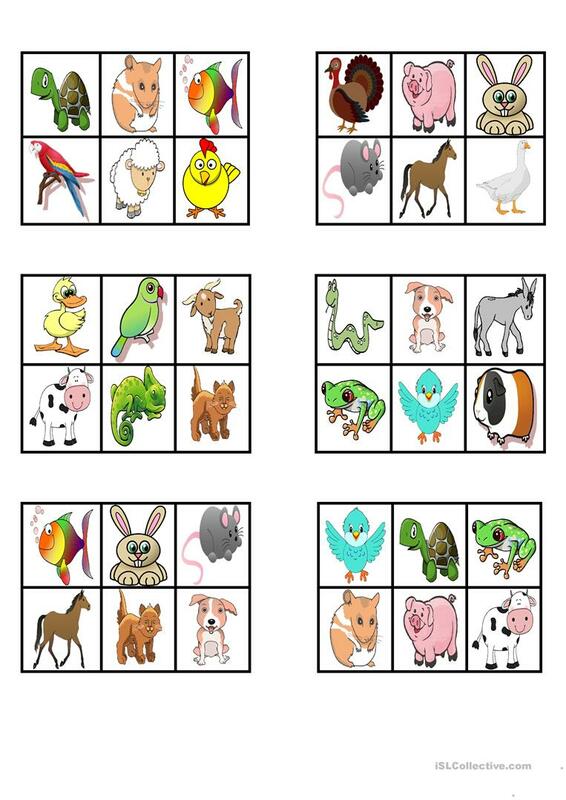 This file contains a few bingo cards to practise some animals. There is a similar presentations called "The Teacher's Pets" and I will upload some flash cards with containing the pictures and the names of the animals. I hope you like these resources! The above printable, downloadable handout is a great resource for elementary school students and kindergartners and nursery school students at Beginner (pre-A1), Elementary (A1) and Pre-intermediate (A2) level. It is a valuable material for developing your groups' Listening and Speaking skills. It focuses on the topic and words of Animals.